From time to time the nice people at Lenovo send me a gadget. They’re handy to have around – both for my own use and when trying to help out in the Lenovo forums. I do some testing and writing as well. I’m not otherwise compensated, and opinions are my own. I DO NOT speak for Lenovo. Recently a Yoga 900 showed up on the porch. Wow! It’s a refinement of the ‘3 Pro: i7 processor, 6-row keyboard (with function keys! ), USB-C port, increased battery run time, similar display, hinge, and flexibility. I’ve done my best to gather accurate specifications, but no guarantees. Please double check before making a purchase decision based on this information! * Operating system as shipped. Other options may be available. ** Take battery run time with a grain rock of salt 😉 although I’ve seen the Yoga 900 “gas gauge” indicating over 15 hours just sitting with a web page open. The hinges are nearly identical. And amazing. The 900’s hinge feels subjectively stouter, but this may be due to the more rigid halves of the clamshell. One thing that’s immediately obvious is that oddly-shaped USB port on the laptops’ left sides near the hinge. It’s one of the clever (and perhaps confusing) aspects of these Yogas. That warped port is a combination USB 2.0 host port – for attaching devices – and a port for charging the laptop. 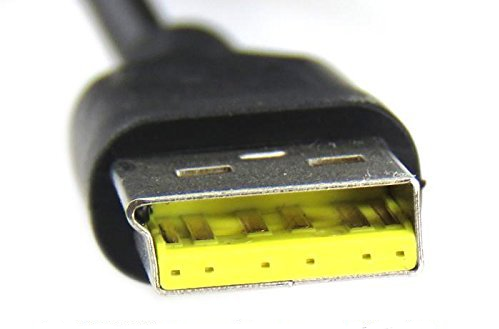 Here’s the confusing part: even though those ports support attaching USB devices and the charging cables have USB connectors on each end, these laptops cannot be charged by a 5V USB power source. They require a specific 20V power supply. More on that below. 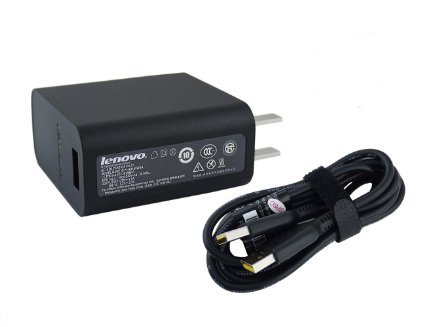 To match the laptops’ charging ports, the AC “wall-wart” power supplies have dual-purpose capabilities. They can supply the 20VDC required by the Yogas via an extra pair of pins added to the standard USB pins. They can also supply USB-standard 5.2VDC to other USB devices when not being used to charge a laptop. To further add to the confusion, the two laptops’ wall-warts are similar. The connectors and cables area physically compatible, and both supply 20V. 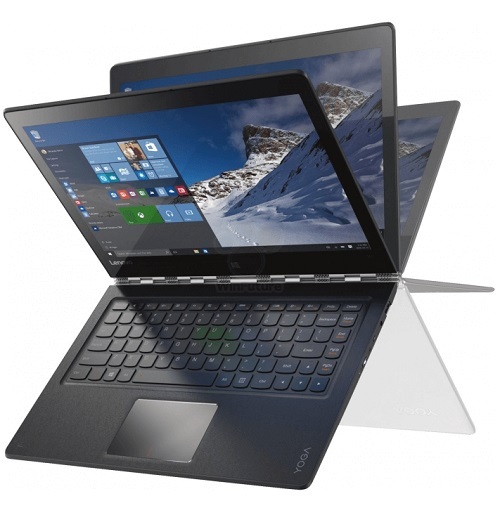 However, the Yoga 3 Pro’s supply provides 40 Watts max, and the 900’s provides 65 Watts. The Y3P’s supply can be plugged into the 900 and may be able to charge it when the laptop is turned off. When the 900 is running it will likely max out the smaller power supply – leading to overheating and possible over-temp or over-current shut down. Generally speaking, it’s fine to use the larger supply with either laptop, but not a good idea to use the smaller one with the 900. Another minor difference: the Y3P’s supply has the AC pins located toward the edge, while the 900’s pins are in the middle. The 900 supply may block more than one AC socket in a wall outlet or surge strip.